TASS, October 28. Tehran expects that the US sanctions won’t reduce its oil exports to the level of less than 1 million barrels per day, First Vice-President Eshaq Jahangiri said on Sunday, according to the IRNA news agency. 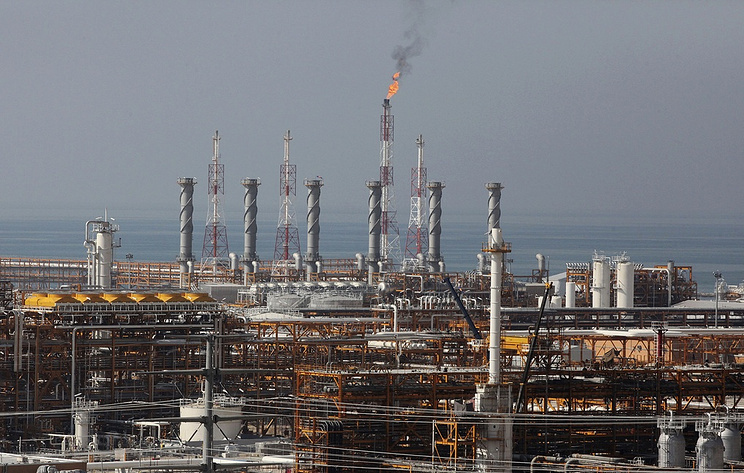 Over the past months, Iran has been exporting 2.5 million barrels of oil per day, Jahangiri said. The US cannot halt Iranian oil exports as there is no substitution for them on the market, he noted. "Today, US officials are lying to the world and the Americans about oil price," Jahangiri told a ceremony in the Iranian capital. If the US was able to halt Iran’s oil exports, the oil price would hit $100 per barrel, he said. On May 8, US President Donald Trump declared Washington’s withdrawal from the 2015 JCPOA (the Joint Comprehensive Plan of Action, known as the Iran nuclear deal) and promised to reintroduce sanctions linked to Iran’s nuclear program. He also stated that the US was ready to sign a new agreement instead of the JCPOA, but set impossible conditions for Iran. The UK, Germany and France stated that they would continue fulfilling the agreement. Earlier, the Department of State said that it would reduce Tehran’s revenues from oil sales to "zero" and added that the sanctions against the country’s energy sector would come into effect on November 4.